1. What are the requirements for becoming a resident of Uruguay? (For specific regulations, contact the Uruguayan embassy or consulate in your country). A valid passport (valid for at least six more months at the time of application) and two photocopies. A birth certificate (international), legalized by the competent authority. When applicable, a marriage certificate (international), legalized by the competent authority. A declaration prepared by a notary providing proof of sufficient income to support you and your family in Uruguay. All these documents must be submitted before the corresponding Uruguayan consulate for their legalization. Proof of up-to-date vaccination, including tetanus vaccination. You must not have eaten in the last four hours at the time of the medical exam (this does not apply to children 12 and under). If you do not speak Spanish, you must be accompanied by an interpreter. Generally you will receive the results of the medical tests within seven working days. All of the required documents and certificate of good health must be legalized at the Ministry of Foreign Relations (Ministerio de Relaciones Exteriores) before you apply for a residence permit. You must apply for a residence permit at the Immigration Department of the Ministry of the Interior (Ministerio del Interior) within six months of your most recent entry into Uruguay. These instructions are based on information provided by the Consulate General of Uruguay in Germany, and we cannot vouch that they are fully accurate, complete or up to date. For more information, please contact the Uruguayan embassy or consulate nearest you. 2. How can I bring my personal effects into Uruguay? When you have obtained a long-term residence permit, you are allowed to import personal effects (household goods, furniture, etc.) without paying customs duties, as long as they are items considered to be for daily household use. Between the time you apply for and receive confirmation of your residence permit (which can take between six months and a year and a half), you can bring household goods into the country by paying a refundable deposit to the customs authorities in an amount equivalent to the value of the goods imported. This deposit may be paid in cash, government fixed-income securities, or, if you already own property in Uruguay, a special insurance from the Banco de Seguros del Estado (BSE). This deposit will be refunded once you have obtained a long-term residence permit. Please note: To the best of our knowledge, and according to information provided by the Uruguayan customs authorities, foreigners are still not allowed to import motor vehicles into the country (as of october 2017). From time to time there are rumours of new regulations on this matter, but they mainly refer to special permits for Uruguayans who have lived abroad for a number of years and are now returning to Uruguay. In order to avoid any problems that could arise when importing a container with your personal effects, we recommend that you do not bring spare parts for motor vehicles into the country, either. You will be required to present a packing list that must be legalized by a Uruguayan consulate in your country in advance. This list should be written in at least two languages (English and Spanish) and contain a detailed list of all the items, as well as the destination address in Uruguay and the name, passport number and signature of the sender. To see a sample packing list, click here. 3. How can I send a container? Shipping a container to Uruguay is basically problem-free. However, given that, on the one hand, on both the side where you will be sending the container from and the Uruguayan side, there are a countless number of companies that offer related services (freight forwarders, shipping companies, customs brokers), and on the other hand, most people do not know very much about this rather complex process, this is the one area where personal experiences and the costs involved vary most widely among people immigrating here. Firstly, there is the seemingly straightforward option of contracting a freight forwarding company to take care of the entire process. In this case, you shouldn’t need to worry about anything, since you are paying for full service. This approach usually works well, but unfortunately, we have heard of cases when the client’s trust was misplaced, and the experience turned out to be extremely costly. This is easy to understand when you consider that there is no single company that can provide door-to-door delivery and deal directly with every step along the way, including port and customs clearances. Freight forwarders must necessarily work with other companies, such as a shipping company for the actual shipment, a shipping agent (despachante, in Uruguay) to handle port and customs clearances, and in some cases, an additional transportation company to deliver your container to your new home in Uruguay. When you choose to work with a freight forwarder, you are paying for a package of different services provided by different companies, which means you have no way of knowing the actual costs incurred along the way, in addition to the costly communication problems that often arise between the companies involved. We are not trying to say that there are no reliable, inexpensive freight forwarding agencies. However, we have heard of cases where the companies involved knew nothing about the others, which meant that the rapid flow of information needed for these operations didn’t happen, and as a result, the containers ended up sitting in the port for days on end, adding significantly to the costs. The problem for the clients in these cases was that none of the companies involved accepted responsibility for the delays and instead blamed the other companies or, ultimately, the Uruguayan customs authorities. In the event that you decide to contract a freight forwarding company to ship your container, make sure you have an accurate overview of the different cost factors involved. The most cost-effective alternative to hiring the services of a freight forwarder is to personally deal with the companies that offer the different services involved yourself. This is not nearly as complicated as it might seem. We have had excellent results with this “do it yourself” approach, and will gladly help our clients to do the same. By no means should you let yourself be convinced of the “advantages” of buying your own container. When it is imported into the country, this container will obviously not be considered as a “household item” and you will have to pay customs duties on it, which can be extremely costly. Take care in preparing your belongings for transport. Use good sturdy boxes, preferably moving boxes, and protect moisture-sensitive items like electronic goods and computer accessories with a waterproof covering. Wrap furniture and other bulky items with corrugated cardboard. Number all of the boxes and items being moved (see the conditions for importing personal effects ), and make sure you have plenty of ties and blankets for padding. Whether you load the container yourself or have it done for you, make sure the contents are packed in such a way as to keep them as safe as possible during transportation. The heaviest items should be placed on the bottom and distributed evenly in the container. This is something we can’t stress enough, based on our own experience: trust is good, but control is better. Remember, the container and everything inside it will have to withstand a lot during the journey. If you choose to pack the container yourself, ask to have it delivered on a Friday. This won’t cost much more than any other day of the week, but you will have the whole weekend to pack, since as a rule it won’t be picked up again until Monday. Make sure that the container is sealed in your presence. You should also be present when the seal is removed later. It is also a good idea to secure the container with a padlock of your own. Once the shipment of a container has been paid for, a document called a Bill of Lading (BOL) is issued. If you choose to contract a freight forwarder to handle the entire process, you should ask for a copy of the BOL, since it essentially serves as the “ownership papers” for the contents of the container, and the container cannot be removed from the port of destination without it. 4. Can a foreigner buy real estate in Uruguay without obtaining or applying for a residence permit? Absolutely! Anyone can buy land and real estate in Uruguay, regardless of citizenship, and there are no disadvantages of any kind for foreign investors. Here we should stress once again the legal protection provided by the Uruguayan government for all investments, whether national or foreign, which rates far above international standards. The terms and conditions are exactly the same for foreign investors as for local investors. 5. What additional costs will I have to pay when I buy a property in Uruguay? The lawyer or notary charges 3% of the sales price plus 22% IVA. To cover the costs of certification, registration and transcription in the corresponding registers, as well as other costs (bank transfers, translations if needed, etc.) you should plan to spend an additional US$ 1000 to 1500. If you need to appoint a representative through a power of attorney, this will cost approximately US$ 350. 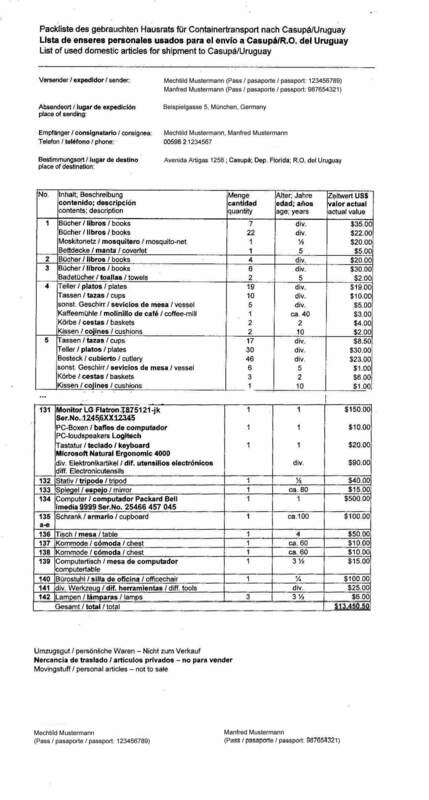 Finally, the Land Registry Office determines the so-called “real value” of the property based on its location and condition (which is usually well below the sales price) and charges a fee of 2% of this amount. 6. What are the monthly expenses for a homeowner in Uruguay? Contribución Inmobiliaria or municipal property tax (includes trash collection, street cleaning, road maintenance, etc. ): Varies in accordance with location, size of property and size of house. Two examples: For a house in Atlántida worth US$150,000, approx. US$ 400 annually; for a house in Solís worth US$ 85,000, approx. US$ 200 annually (when prepaid in full in the month of January, with a corresponding discount of 20%). 7. Is there room for negotiation in the prices listed? We only list properties for sale when we believe that the asking price offers good value for money. Of course, we also consider certain factors that might not be taken into account in a purely objective appraisal, such as properties in open areas with a sea view. This does not mean that a lower price can never be negotiated, but the belief that asking prices are normally set at least 20% higher than the actual sales price for real estate in Uruguay is not true. If sellers get the impression that you don’t take their offer seriously and you simply assume it is overpriced, they will probably be closed to any further negotiation. Here, as a general rule, sale prices are only negotiated when a tentative agreement to buy the property has been reached. For each particular case, we can advise you as to how much the seller might eventually accept. 8. Is there a property registry and land registry in Uruguay, and is my property ownership protected? Of course, here there are also registries of this kind to regulate and protect the legal ownership of property. Detailed and legally solid contracts guarantee the encumbrance-free transfer of ownership. We can recommend prestigious law firms in Montevideo or Punta del Este to assist you. 9. Are their house plans of the properties? In most cases, there are house plans, but these are usually kept with the other house-related documents at a notary’s office or in a safety deposit box at a bank. The owners themselves seldom have a copy of the house plans. This might seem odd from a European perspective, but here in Uruguay, buying real estate is basically a matter of “what you see is what you get”, and the plans are normally handed over with the other documents when the sales contract is signed. If you are seriously interested in a particular property after an initial visit and want to look at the house plans, we will gladly try to arrange if for you. 10. How is the living area calculated? In Uruguay there is no established system akin to a German DIN standard or other industrial standards, and so the calculations and figures quoted by the sellers are based on their individual assessment. Often the area size quoted is the entire usable area, which also includes patios, the barbecue area and the swimming pool. 11. Is there financing available for purchasing real estate? We have no way of helping you to obtain financing. It is extremely difficult for foreigners to obtain loans in Uruguay, and most banks turn them down outright. In some particular cases you might be able to reach an agreement with the seller. However, we can tell you from our own experience that this only happens in exceptional cases. 12. Can I pay in cash for a property? Any amount over US$ 10,000 brought into the country must be declared. Depending on the sales price of the property, you can pay the 10% deposit at the notary’s office in cash; this is actually quite common. The remaining 90%, however, must be sent by a wire transfer. Uruguay places significant emphasis on the fact that it does not permit money laundering, which means that a currency transaction report must be filed for transfers over US$10,000. For this reason, cash payments are neither common nor desirable. While we wouldn’t completely rule out the possibility in exceptional cases, we are opposed to cash payments on principle. 13. Do you also rent houses and apartments? Not as a rule, but we would be willing to help in individual cases. 14. Do you also provide help with immigration procedures? We cannot personally assist you with the necessary procedures at the corresponding offices. However, we can gladly recommend – at no cost – people who specifically work in this area, whom we consider to be experienced, serious and trustworthy and who charge reasonable fees for their services. 15. I would like to get to know Uruguay first. Can you help me? In this case as in others, we can offer you our experience and can certainly give you recommendations.  We are glad to help in any way we can, and try to provide detailed information about Uruguay here on our website. We are happy if we succeed in these efforts in some way, and especially if you are attracted by the services we offer and decide to contact us. However, we hope you will understand that for us, it is essential that you have a serious interest in real estate. If you really have no intention of buying property here, we cannot simply provide general information about the country and its people or advice on immigrating to Uruguay.